The Oklahoma City Thunder basketball team were caught up in a bizarre mid-air incident when their charter plane was struck by an as yet unidentified object on its way to Chicago, damaging the nose cone. The collision occurred Saturday morning during the team’s flight to Chicago-Midway ahead of their game against the Chicago Bulls. 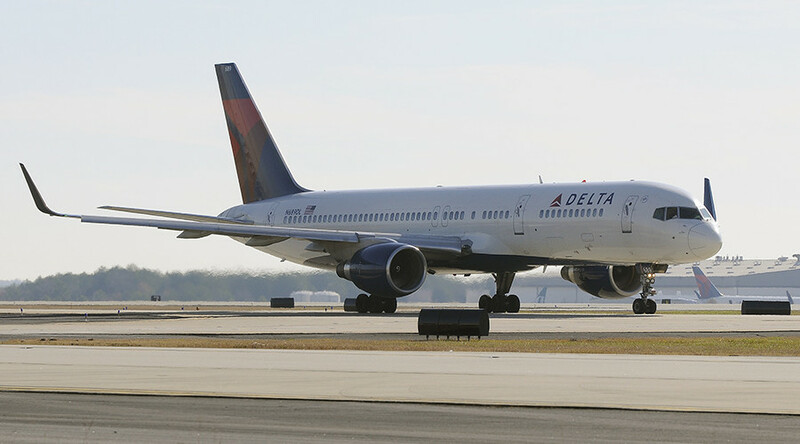 Pictured after landing, the Delta Airlines Boeing 757-200’s nose was seen to be badly dented and scratched. After disembarking, NBA stars Carmelo Anthony and Josh Huestis posted pictures of the damage to social media. “Delta flight #DL8935, operating from Minneapolis to Chicago-Midway as a charter flight for the Oklahoma City Thunder, likely encountered a bird while on descent into Chicago,” the statement read. The drama in the early hours Saturday ended with the players being taken safely to their hotel.